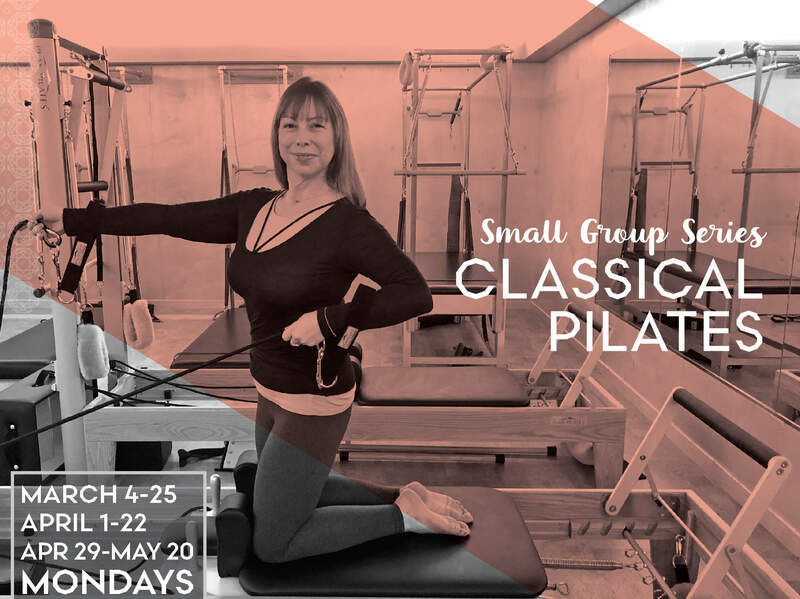 Build a solid foundation in CLASSICAL Pilates. The specific Classical choreography strengthens and stretches the torso, arms and legs in all planes of movement. Each session will warm up the body, then challenge it on the mat and reformer, and finally cool it down. You will leave this series feeling confident on the equipment and confident in your body. Great for All Levels or Beginners. Celeste discovered Pilates at an early age while studying dance in LA. She has a life-long passion for movement and has transferred that love to helping others move well. Celeste is comprehensively certified in Pilates, GYROTONIC®, and TRX. She has helped clients of all ages and abilities to move better since 2011.